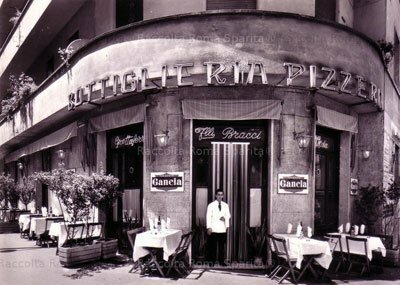 The Parioli neighborhood was among Rome’s first certifiable upper middle class (read affluent) districts to keep up with centro storio Joneses has produced a hefty slew of good but overpriced nouvelle restaurants. 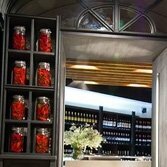 “Molto” a recent entry (it’s really a reinvention, since the restaurant was around in a more modest incarnation). Everything here is based on pandering to an accessory-oriented crowd, Parioli’s show-offy obligation. One enormously good and smart selling point is a open-hearth grill — a rarity in a city of small spaces and smaller kitchens. Piglet, rabbit, duck breast, and chicken all get their turn. Sit on the patio and enjoy them. Let’s be cleat: These people know what they’re doing. The hyper-trendy look got its “Architectural Digest” write-up, and rightly so. But it boils down to price, which is lunch-and-dinner high (and the clientele probably wouldn’t want it any other way, since money is its own show in this part of town). If you want to compromise, try Sunday brunch, which runs about €30 a head.